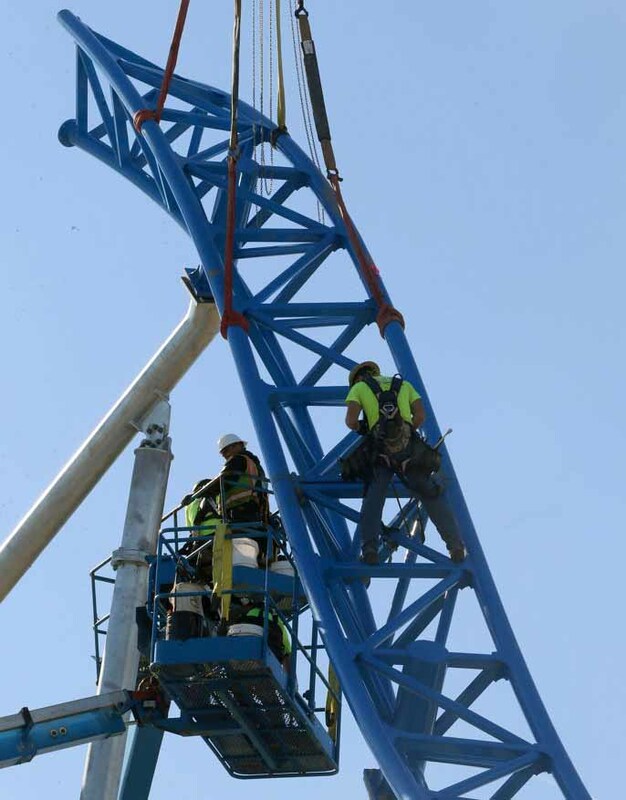 The new attraction will be named Firecracker, and is a classic Calypso flat ride that will be fully refurbished and added to the 4th of July section of the park, across from Liberty Launch. The ride originally operated at LeSourdsville Lake Park in Ohio before moving to Fun Spot in Indiana. Holiday World obtained the ride, of which there are only a handful still operating, and will bring it back to life for guests next season. 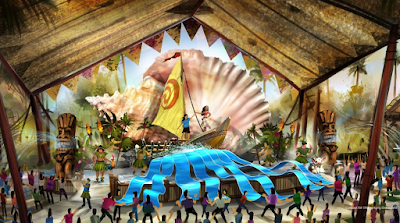 Next season Holiday World will also make three more attractions wheelchair accessible, add more shade structures on popular attractions such as Kitty's Tea Party and Otorongo, replace the Watubee family raft ride's tower structure, and improve many of the park's food and beverage outlets such as the Alamo. Both The Voyage and The Raven wooden roller coasters will also have off-season trackwork done. The park promises more news on 2017 changes soon on their HoliSounds podcast. Thrill seekers will have another ride to line up for at Kentucky Kingdom in 2017, when Eye of the Storm debuts. Know as a Giant Loop and manufactured by Larson, the ride will take 24 passengers up to 70 feet in a giant loop, moving both forwards and backwards. These rides have become extremely popular in recent years, popping up at both small and major amusement parks across the country. The new ride, alone with two additional new children's rides that were announced, push Kentucky Kingdom to offering more than 80 different rides and attractions - with 5 roller coasters, 20 water park attractions, and expansive children's area and more. Changes were also announced for the park's wooden coaster, Thunder Run, which will receive a brand new train in 2017. The coaster will also receive track modifications and improvements designed to give "a smoother and faster ride," which I'm sure will not be frowned upon by visitors! Kentucky Kingdom is also focusing on park amenities in 2017 to keep their ever-growing attendance base happy. They will spend money on items like more shade structures in ride lines and in the water park, more tables, chairs and benches throughout the ride and water areas, stronger air-conditioning in restrooms and restaurants, more lockers, new technology to improve the speed of season pass processing, three new ticket sales windows and a brand new entrance for the Hurricane Bay water park. Since reopening, Kentucky Kingdom has found much success and expanded greatly each year - 2017 looks to be no different! 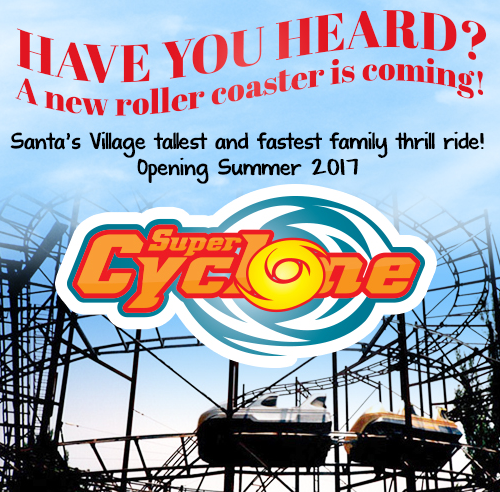 Santa's Village Azoosment Park, located in East Dundee, Illinois, has announced that they are building a new roller coaster for 2017, named the Super Cyclone. The park, which was reopened in 2011 after be closed for five or so years, has steadily expanded each year adding rides and attractions along with its popular petting zoo (hence the Azoosment Park name). It originally opened in 1956 as just Santa's Village, and had two sister parks of the same name in California. The new coaster will be fabricated by Interpark, and is one of the company's Super Cyclon designs. 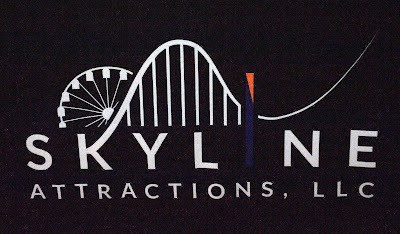 The ride will feature orange track and gray steel supports, and is designed as a mild thrill ride that can appeal to the whole family. 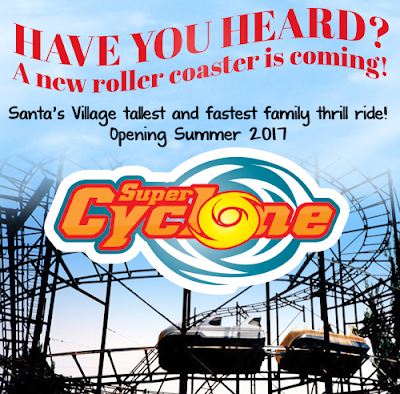 When complete, the Super Cyclone will stand 35 feet tall, feature 1,148 feet of track, have a top speed of 30 miles per hour and utilize several two car trains that zip around the course. You can read more about the park's expansion plans and keep up with the status of the new ride via the park's website. As we suspected, the new roller coaster will be generally the same as the 320+ model, without the 360 degree helix at the very end of the ride. 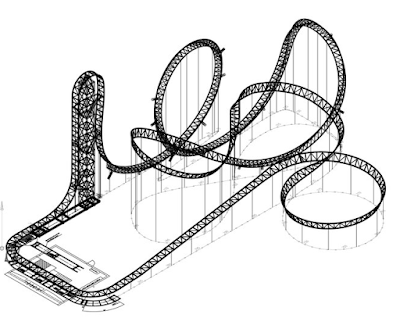 That means after the 72 foot tall lift hill and 97 degree drop, riders will navigate a full vertical loop, immelmann turn, head up into a heartline roll and then end with a quick turn into the brake run. 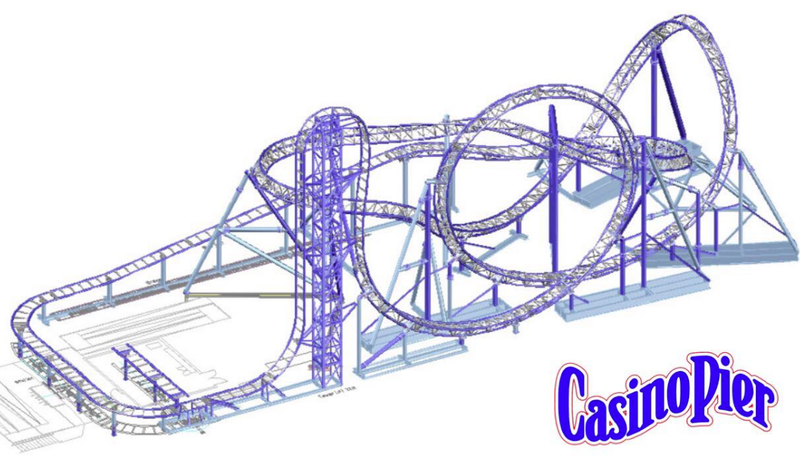 On Twitter, Ride Entertainment said that Casino Pier's new coaster will be the "world's first EF-320," so it would appear that that is the model name that Gerstlauer has given this layout. After the tragic death of National Roller Coaster Museum founding board member Mark Moore in July, his family and business wanted to ensure legacy while supporting the efforts of the National Roller Coaster Museum in which he strongly believed. 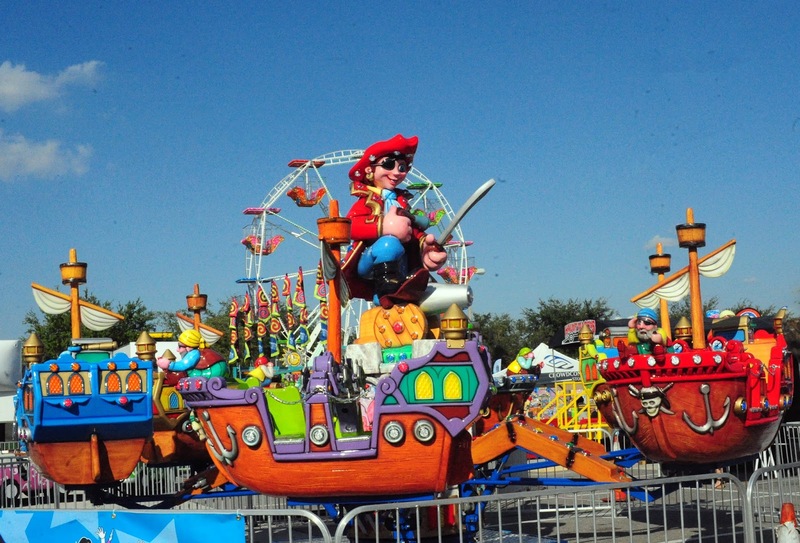 Moore was a true amusement industry pioneer. In 1982 he the founded Uremet, an industry leading urethane wheel manufacturer where he remained as president. 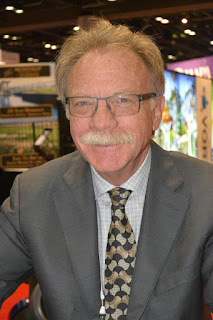 Moore brought his business acumen and a strong, innovative vision to the NRCMA board over his eight years as a member of the organization dedicated to preserving and protecting the legacy of the amusement park industry. 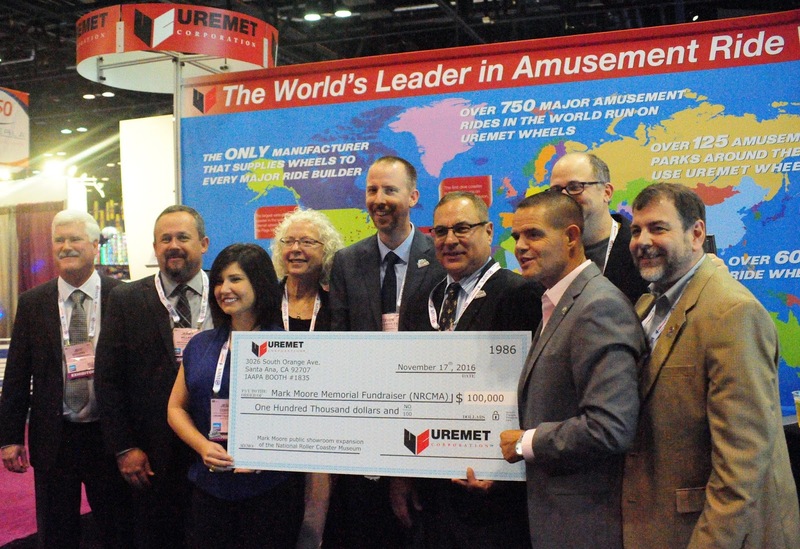 A fundraiser is planned for the International Amusement Parks and Attractions Expo in Orlando this November sponsored by Uremet and the Moore family with the goal to endow an expansion of the Museum’s Plainview, Texas archive facility in Moore’s name. With the Mark Moore Memorial fundraiser, the NRCMA is proposing to double the size of its current archive facility and to create a showroom for public access to select artifacts within the Museum’s collection. The expansion will be named for Moore and will quantify his success in the industry and his support of the NRCMA. The NRCMA is an unaffiliated, 501 (c)3 non-profit organizations dedicated to the protection and preservation of historic roller coasters and amusement park artifacts and memorabilia to document and archive the history of the amusement park industry in a dynamic environment while providing the most complete repository of information and documents regarding the amusements industry. A small gathering was held at the Uremet booth to kick off the fundraiser and make the seed money announcement. 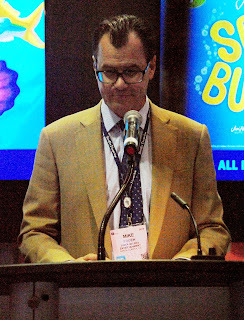 Steve from Uremet was kind enough to talk about Mark and his feelings for the amusement industry during what has to be a difficult time for the transitioning of Uremet towards the future. 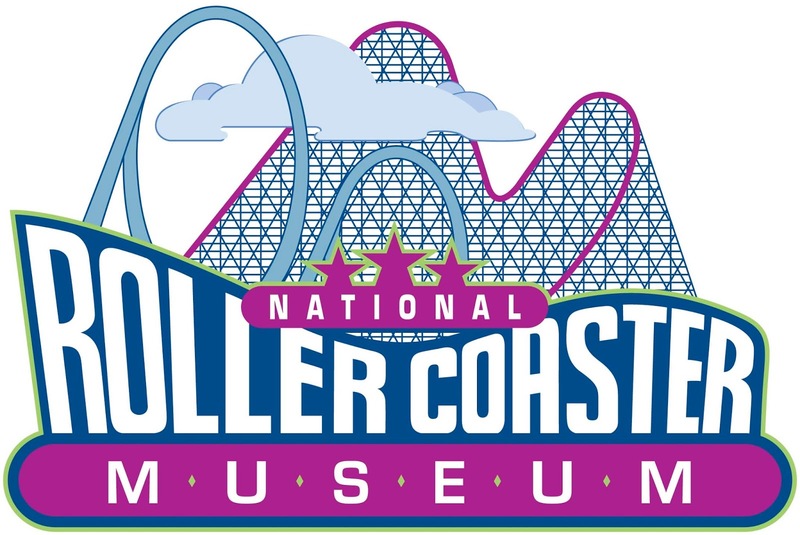 Visit: www.rollercoastermuseum.org or the NRCMA facebook page for further updates. It's very rare when a small park makes a big announcement, but when a kiddie park announces the inaugural installation of the new family inverted roller coaster it's huge. 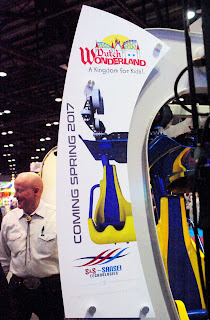 The very first family inverted roller coaster from S & S -Sansei will open next year at Dutch Wonderland. 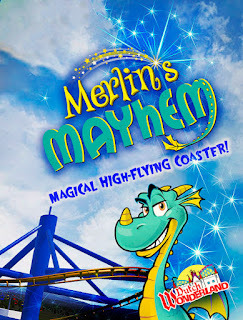 Merlin's Mayhem will be roaring around the ski lift and train, hopefully on opening day 2017. 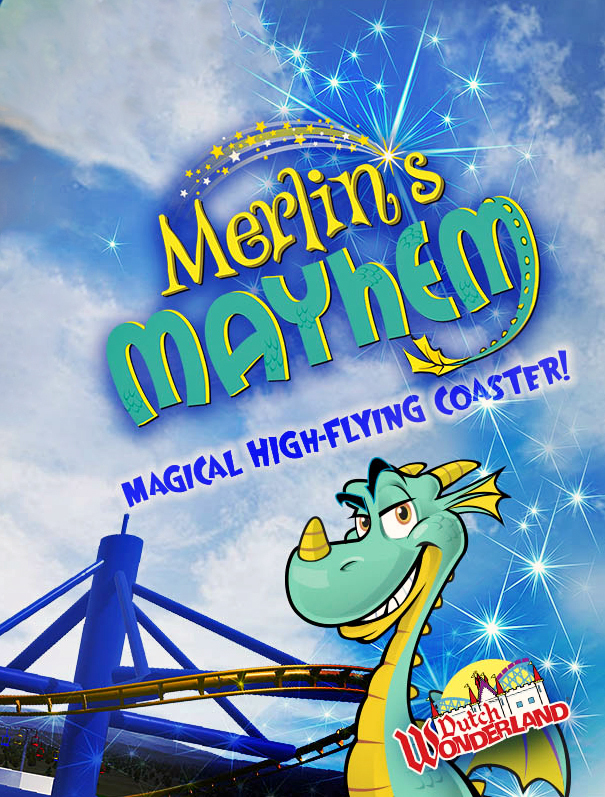 Featuring a good storyline about Mayhem, Merlin's friendly dragon, can't help getting himself into all sorts of predicaments as he learns to control his "fire-breathing" skills and learns to fly. Doesn't that look like fun? In this day and age, many parks have to remove a classic attraction to add something new, but not at Dutch Wonderland. The Sunoco Turnpike attraction was just relocated to make room for Merlin's Mayhem, so there will be more to do at the park next year. Joe, from Ride Centerline, talked about his background and how he worked with Dutch Wonderland to integrate their requirements into the new ride and how guests will interact with existing attractions while riding the coaster. it sounds like a tough job to satisfy all the requirements. Remember this is the first installation of its kind, so we received more information from Matt, of S &S -Sansei about all the different consideration they worked through while designing this new train. We wouldn't usually post this video due to the camera focus malfunctioning, but we consider the educational benefit worthwhile as you listen to the discussion. They really put a lot of work into designing this new train. Congratulations to both Dutch Wonderland, Ride Centerline, and S & S - Sansei Technologies for this outstanding new project. Casino Pier has already taken delivery of all the parts of a new roller coaster, but has kept many of the ride's details quiet until now. 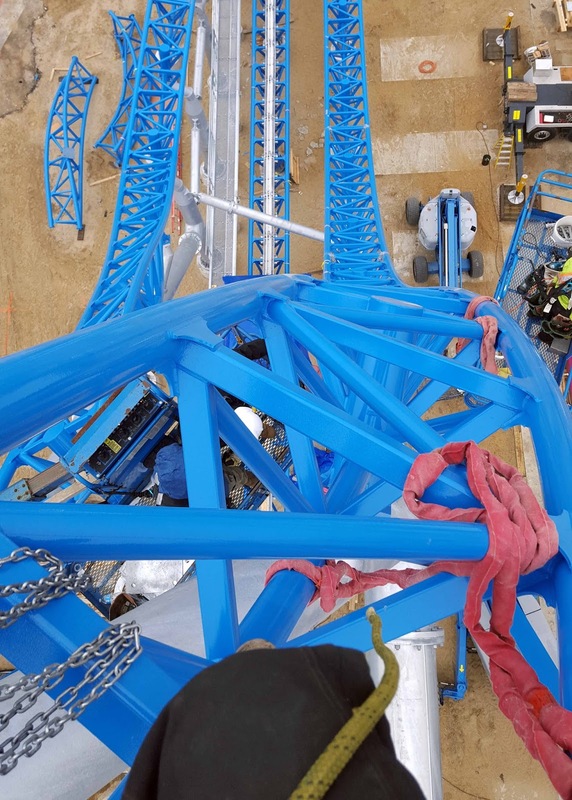 Sporting lime green track and brilliant blue supports, the Gerstlauer Euro-Fighter (final name to be released later) will be located on a currently under construction expansion of the seaside amusement park's pier. The only real photo of the ride's layout can be seen in the just-released concept art at the top of this story. That looks a bit like other Euro-Fighter's we've seen, including Untamed at Canobie Lake Park and Rage at Adventure Island - both Euro-Fighter 320+ models. This is the layout of the 320+ model, who's statistics match the new ride's with one exception, and that's track length. 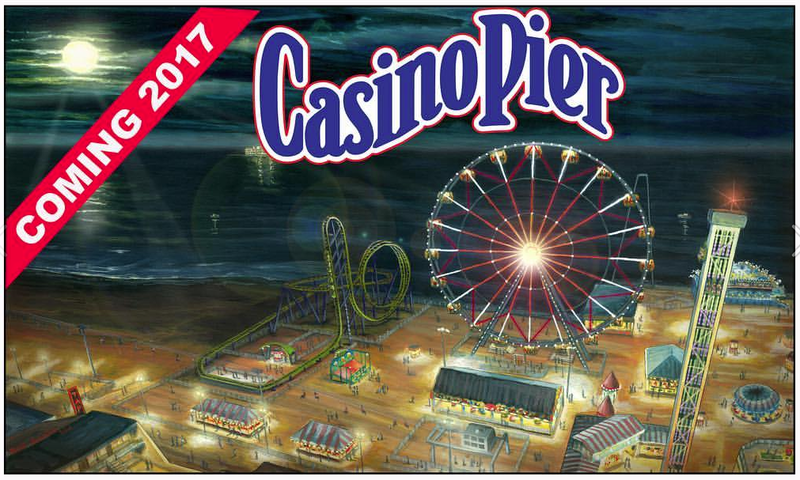 The 320+ has 1,185 feet of track, with Casino Pier's ride coming in at 1,050. Looking at that concept art I wonder if they're removing the final helix to make the ride fit better in a limited space? Makes sense to me. Either way, it's great to see another of these rides opening in the U.S.! A massive set of expansion plans, costing $1.4 billion and running for six years from 2018 until 2023, has been unveiled for Hong Kong Disneyland. 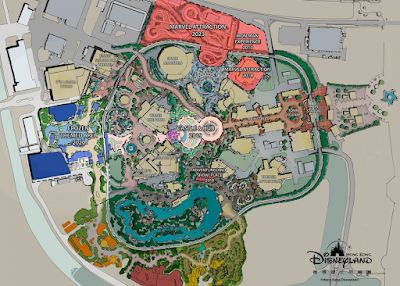 Changes include new rides and attractions to open almost every year during the expansion, based on themes such as Frozen and the Marvel Comics properties. One of the biggest changes is set for a 2019 debut, and that's a total re-imagining of the park's main castle. Seen above, the new castle will be dramatically larger and have a much bigger presence over the park. 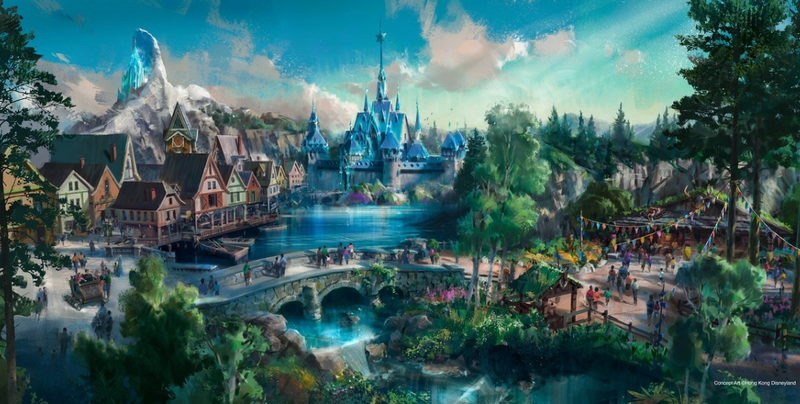 The park's current Sleeping Beauty Castle, which is fairly small and a near copy of the original at Disneyland, will be replaced with one designed for several live entertainment options. Totally redoing a castle is unprecedented in Disney parks, so this is quite a dramatic move. 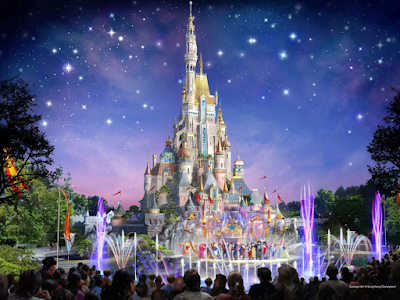 The new castle will be surrounded with a moat that will be incorporated in both daytime and nighttime spectacles. (one of which is pictured above) A redesigned 'hub' area will also be built, with much more dedicated viewing areas for the new entertainment. This map details the castle change along with everything else that is being planned. 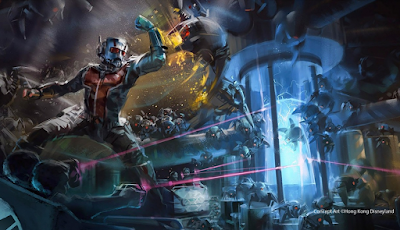 There will be significant changes to the Tomorrowland area, pumped up with Marvel-themed rides, and an entire new land based on Frozen. Click the image for a larger view of the future park map. Hong Kong Disneyland's new Frozen themed area (listed as opening in 2020) will be the first full land at a Disney park to carry the Frozen theme. The recreated Arendelle will be located beyond Fantasyland, and feature themed dining, retail, character interactions and two attractions. One of them will be a trip to Elsa's frozen ice castle, named Frozen Ever After, which from the description in this video sounds like a clone of the ride of the same name that opened this year at Epcot in Florida. The Frozen area's second attraction is named Oaken's Dancing Sleigh Ride, where visitors sit in oversized sleighs that dance around on a frozen pond. From looking at the concept art, it appears as though this may use a ride system similar to Luigi's Rollickin' Roadsters at California Adventure. It looks like Disney is betting on their latest movie, Moana, to be a success considering that in 2018 a new Adventureland Show Place will open at the park, featuring “Moana’s Village Festival.” The theater will have a "series of daytime entertainment offerings anchored around a lively stage show in a new interactive entertainment environment." Changes to Tomorrowland will be significant, and kick off with the new Iron Man Experience simulator ride that will open on January 11, 2017. The map of the park shows that the land will contain several clustered Marvel rides, with a big one replacing the current Autopia car ride. That is listed for the very end of the expansion, in 2023, so there is plenty of time left to take a spin. Time is quickly running out for another Tomorrowland ride, though, and that's Buzz Lightyear Astro Blasters. The ride will be renovated into a Marvel Super Heroes attraction for 2018, I believe the concept art above is for this change. The in-car shooting feature looks to be hanging around, but with a total theme change. 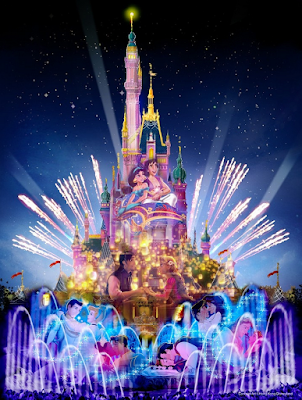 Hong Kong Disneyland is majority-owned by the Hong Kong government (53%), so they will be splitting the massive bill for this expansion with Disney accordingly. 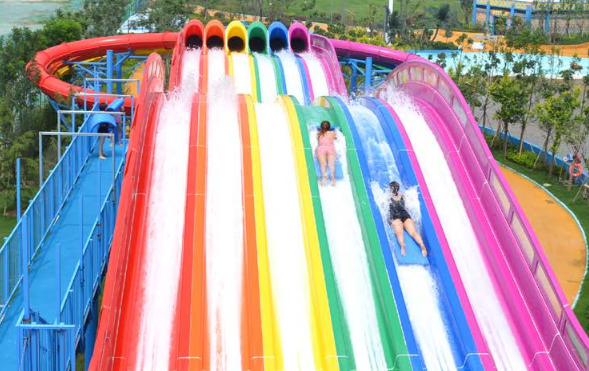 Mat racing water slides have quickly become a water park staple, so it only makes sense that WhiteWater would push the boundary and turn this classic into a fresh new idea. 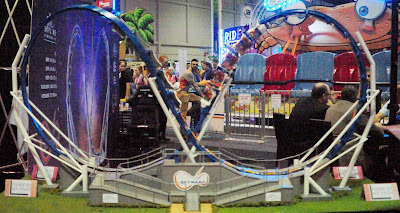 Known as a Mat Blaster, the company added their Master Blaster technology into the slide, creating uphill sections that riders - laying head first on mats - rush up and over, very much like a roller coaster. 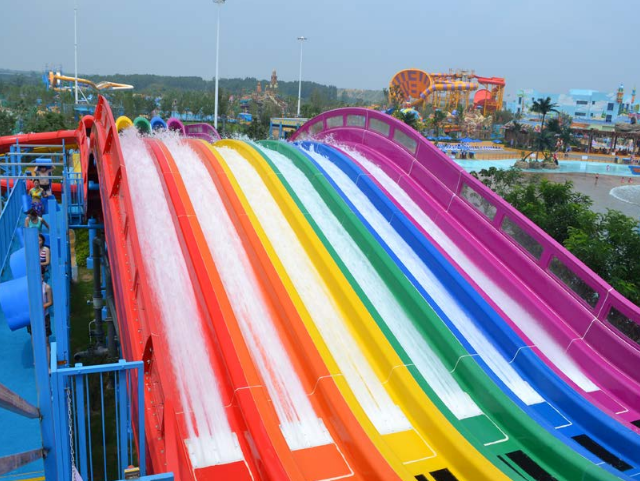 The first Mat Blaster in the world opened this past June at Yinji Xinmi, located in China, and has been a smash success. The initial instillation starts with a 13 foot plunge downward, followed by two up-hill sections and finally a set of enclosed turns. 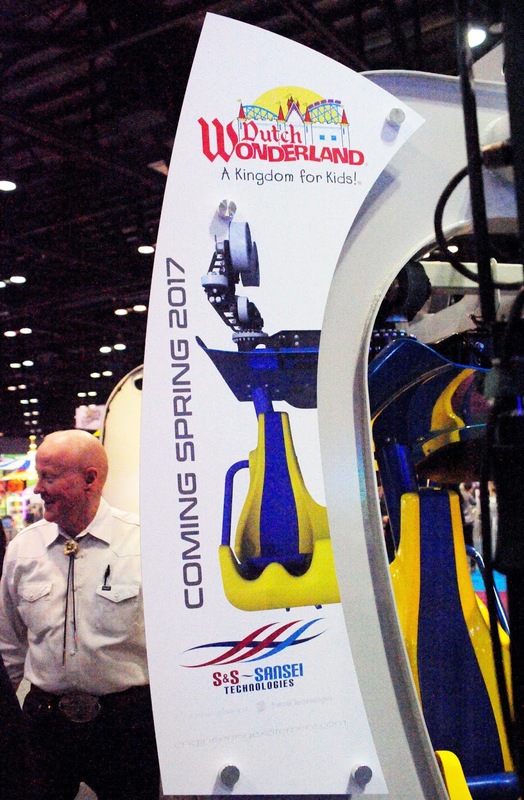 The ride's design has been honored by IAAPA with this year's Best New Product in the annual Brass Ring Awards. experience and combined it with the engaging sensation of a mat ride to create a brand new attraction. We’re giving park guests a completely new and unique feeling as they race up and down hills, headfirst on a mat, there’s no other ride like it on the market”, commented Sean Hinton, WhiteWater’s President, Waterparks and Attractions Division. WhiteWater's Mat Blaster is fully customizable, so it can appeal to water parks of various sizes. It can have different amounts of uphill sections, twists and turns, and anywhere from 2 to 8 lanes for racing. 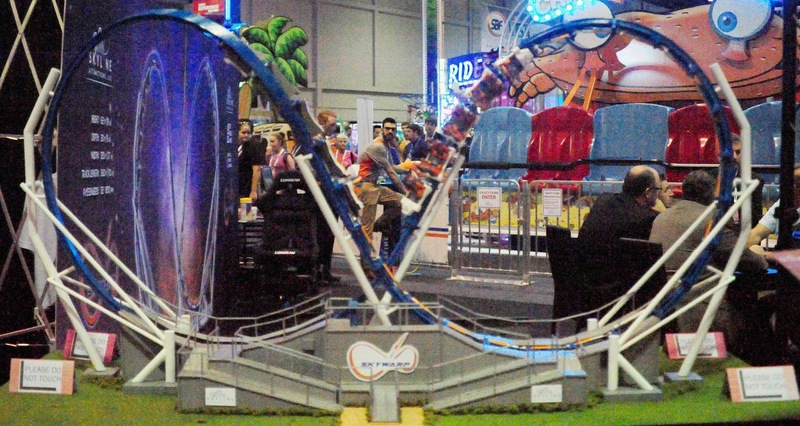 Mat Racers have been popular at parks in part due to their high hourly capacity, so this innovation holds a lot of potential for additional installations. Can't wait to try one out, I have a feeling we will see them start popping up sooner than later! Already a holiday tradition for thousands of families, SeaWorld Orlando's Christmas Celebration will be even bigger and brighter this year. The event will kick off on November 25th and run select days through December 31st. 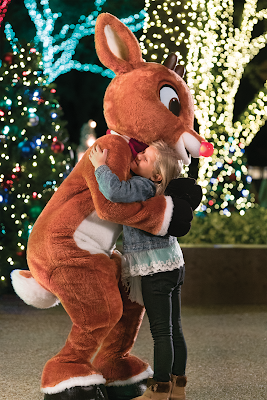 This year the world-famous Rudolph the Red-Nosed Reindeer is joining SeaWorld Orlando's Christmas Celebration. Rudolph, along with his pals Clarice, Bumble and Yukon Cornelius can be seen in Rudolph's ChristmasTown, a brand new area. Along with plenty of lights, decorations and the ability to meet the characters, the new area also features life-size story book vignettes showcasing Rudolph's classic and cherished story. 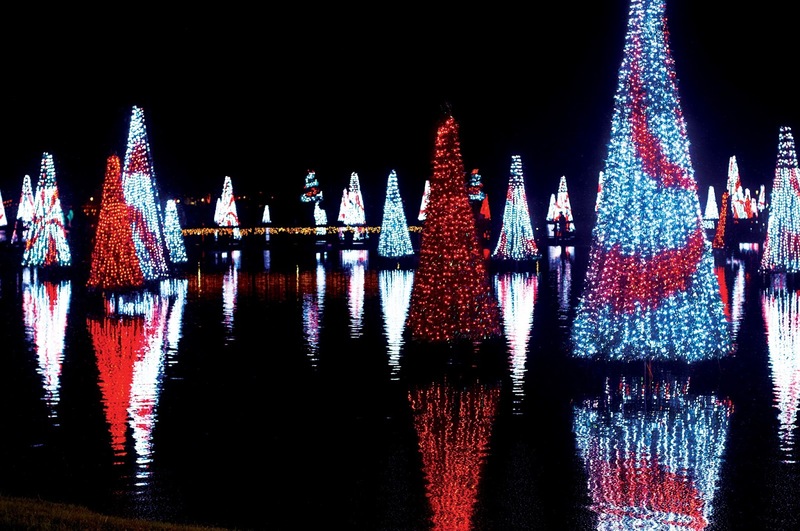 SeaWorld Orlando shines brighter than ever during the holidays, and is well known for their Sea of Trees display, pictured here. 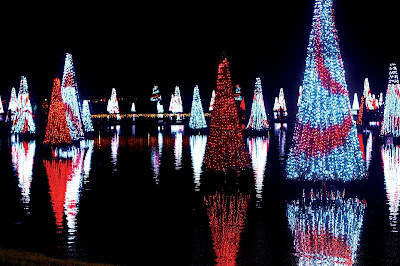 Families can stroll through a "wintry, watery wonderland as they are immersed in a sea of glistening holiday trees that sparkle to music as they light up the water" in the theme park's central lagoon. Also new this year is a giant, 70 foot tall tree that will certainly be a sigh to see. 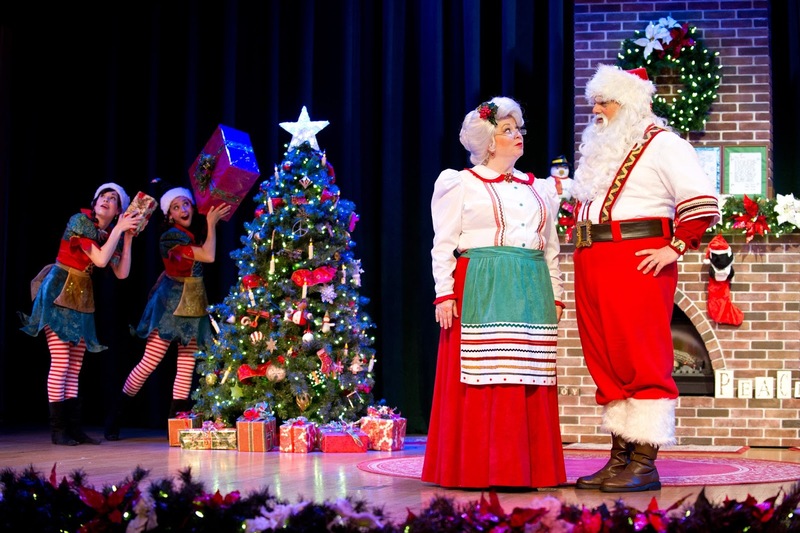 Live entertainment is a huge portion of the fun that comes with Christmas Celebration. This year everyone can meet Santa in an all new experience, Santa's Workshop presented by Coca-Cola. Visitors can make a keepsake treasure as they meet the big man himself. Other shows include Winter Wonderland on Ice (pictured above), Sesame Street's Elmo's Christmas Wish, O Wondrous Night, which features a live nativity scene, Shamu Christmas Miracles and Clyde & Seamore's Countdown to Christmas. Along with special shopping opportunities, SeaWorld also has a wide variety of holiday food during the event. The Christmas Market is a central location with entertainment, food offerings, fire pits and holiday cocktails. Pictured above is a scene from Santa's Fireside Feast, a special meal that can be purchased that includes entertainment, all-you-can-eat dining, and a meet and greet with Mr. and Mrs. Clause. Throughout the Christmas Celebration, the park has treats such as "fresh-popped kettle corn, waffle cone S'mores, grilled slider sandwiches, short-rip brisket mac & cheese and SeaWorld's very own apple pie with a unique and delicious twist." For those who want to ring in the new year at the park, there will be a massive firework show, special entertainment, interactive DJ stations, craft beers and more. Click here to visit the Christmas Celebration website. 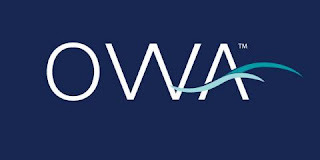 Today Disney Parks made a series of announcements that gave fans a closer look at some of the larger developments currently underway at the Disney World resort. 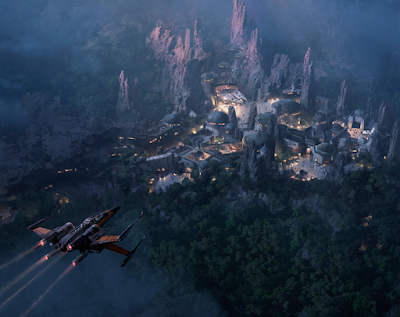 First, it was announced that Pandora - The World of Avatar at Animal Kingdom will open in the Summer of 2017. Under construction for several years now, the land has made major progress with floating islands already in the sky above the park. The above photo is of the just revealed entrance bridge to the themed area. 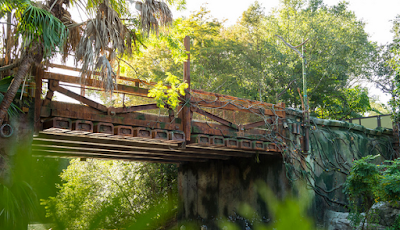 The Disney Park's Blog explains the story behind the look of the bridge, which fits in with the overall theme of the new land. 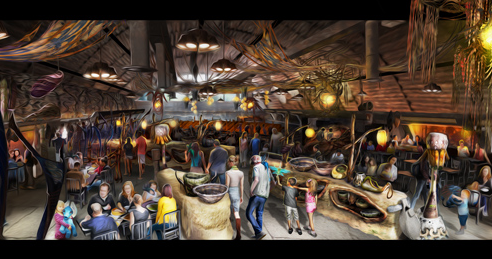 Digging a bit deeper into Pandora - The World of Avatar, several new concept art images of food and retail buildings inside the land were released today. Above is a look at the main dining location, Satu'l Canteen, which features Na'vi "art and cultural" items as decorations. Other images show Windtraders, a large gift shop, and an outdoor drink location named Pongu Pongu. This concept art of the Star Wars themed land that is being built at Disney's Hollywood Studios was also released today, showing the land at night once the sun goes down. It was also announced that a new "adventure" will be added to Star Tours - The Adventures Continue, to feature content from the upcoming Star Wars Episode VIII. On a last note, it was also mentioned at a fan event today that Imagineering has been tasked with dreaming big for upcoming plans for Epcot - sounds good to me! So there are lots of things to look forward to in Alabama, the "map" below gives us just a tease. The creative minds at Zamperla put together a nice display, and instead of just some static models, they have screens displaying the wonderful attractions being readied for the park. Michael Coleman from Zamperla gives us a few more details about both the park and Zamperla. They 5have actually supplied the entire ride package for an amusement park four other times before, so this is nothing new to them. Exciting time for the lower Alabama region under served since hurricane Katrina back in 2000. Now this is a twist from the way things have gone in the past. 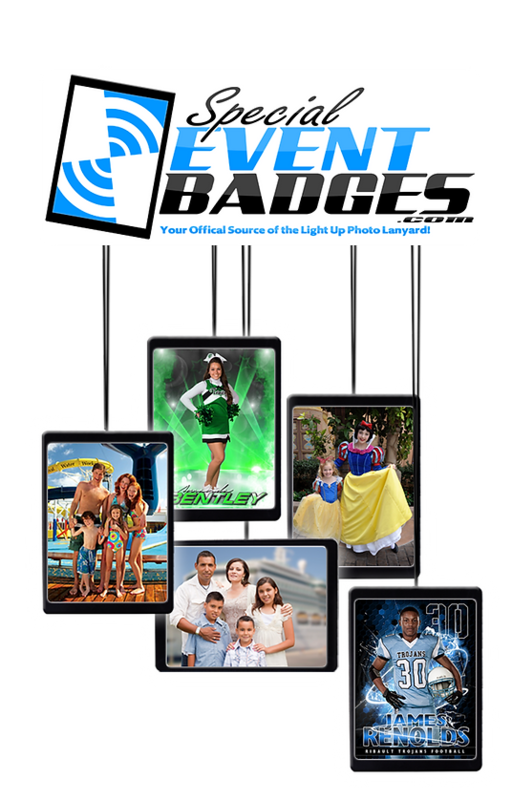 Walt Disney, Universal, and Plopsa have all started as media companies and then built attractions based on their characters. Hershend Family Entertainment Company, partnering with Jim Henson Group, PBS Kids, and SimEx Iwerks, have gone from a attractions property group to creating content. Big news for Quassy park! 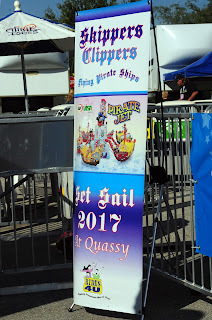 On the shores of beautiful Lake Quassapaug, both child and those who are in touch with their inner child will be able to sail away on Skipper's Clipper's, new for 2017 at Quassy Park. 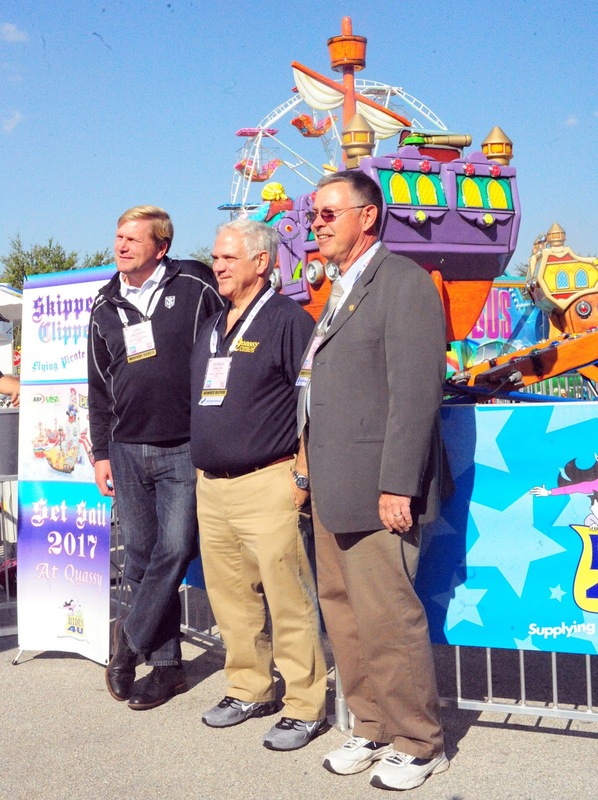 The management and owners posed for a picture in front of the ride. This will soon be moved to Middlebury, Ct.
You can see all ages enjoying the ride in this video, while Ron from Quassy explains some of the finer details of sailing a pirate ship at this lakeside park. It would be fascinating to know where the minds of the "riders-in-charge" are taking their parents and grandparents on their "voyage." 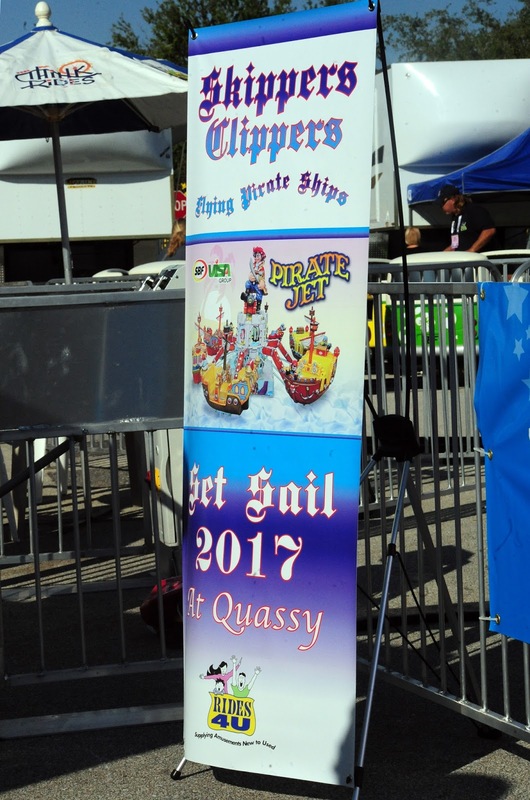 With all the interactive features, and a great location, what a great choice for Quassy Park.You can start making plans now to sail on the inaugural voyage on May 6, 2017. 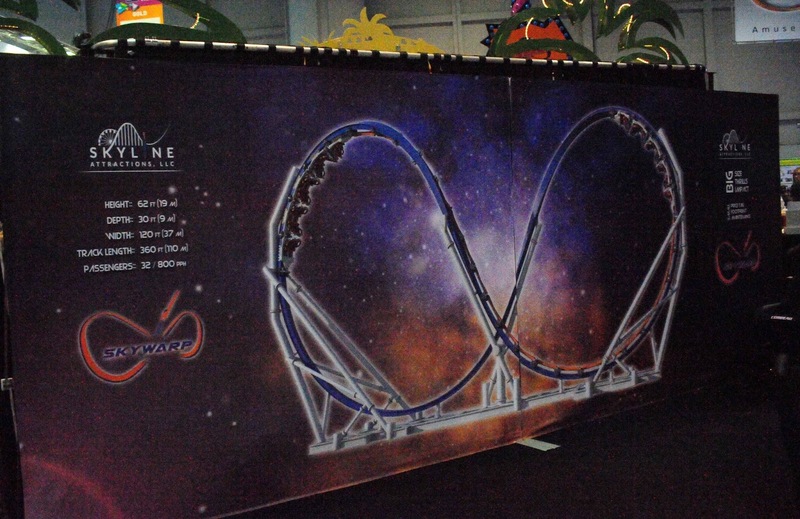 Skyline Attractions has unveiled a brand new thrill ride, named Skywarp, that packs a lot of punch in a small space. The 60-foot tall continuous track ride has two separate trains that are powered around the butterfly shaped track, which is 360 feet in length. According to Skyline Attractions, "the dual-loop ride cleverly produces a dueling near-miss element that brings riders tantalizingly close to one another by using a single train with passengers at each end. The technique effectively creates simultaneous two-train operation without a costly PLC that relies on block logic and maintenance-intensive sensors. Thrill-seekers 48 inches and taller, seated facing each other, twist sideways and upside-down as they accelerate through twin Immelmann inversions." Because Skywarp has two trains, it is able to seat 32 passengers per ride cycle, for a total of approximately 800 riders per hour. Skywarp is an American-made ride that can serve as a major attraction for a park in the neighborhood of $2 million. It can be installed with either a permanent foundation or a semi-permanent one, and the tire drives could be replaced with LIMs if desired. For more on Skywarp, check out the ride's website.